Khichdi is great comfort food, I use to make khichdi for every Saturday lunch once but now a days I make this so rare, I have no idea why it's like that now. 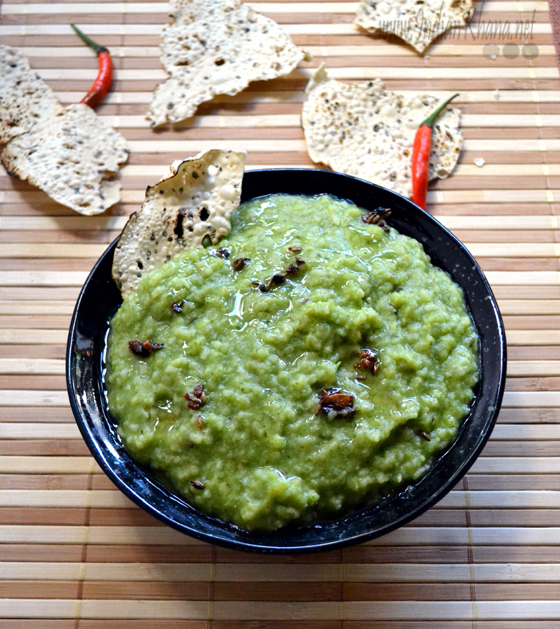 Hot Khichdi+Ghee+Achar+Papad=Comfort food for me, it taste delicious and so satisfying. We don't need a fancy meal to satisfy ourselves some time small thing makes big difference and khichdi is one such entity. But then every one doesn't feel the same about khichdi, DH doesn't use to like khichdi but he likes the way I make and doesn't complain about eating it. It's a great one pot meal and can be a good lunch box recipe too. But my BIL doesn't like khichdi and he won't eat it infact I seen mostly men don't like khichdi perhaps we women appreciate it more since it's less work for us? you think so? Anyways coming to our today's recipe palak khichdi is great way to eat spinach and it also helps to make the khichdi looks more attractive. There are few ways of making palak khichdi and also using different dal I like to do this way or by simply adding chopped spinach along with rice and lentil to pressure cooker. You can choose any way you wish or try different method in different times read notes for more details on this. 1. Soak rice and lentil for 10 minutes, rinse well and keep aside. 2. Meanwhile wash spinach well and chop. Mince garlic and keep aside. 3. In a pressure cooker heat 1 tsp oil and add garlic, green chilli and saute for a minute. Add spinach saute for 2 minutes, remove from cooker. 4. In the same cooker add washed rice and lentil, water, salt, turmeric powder and pressure cook for 3 whistles. 5. 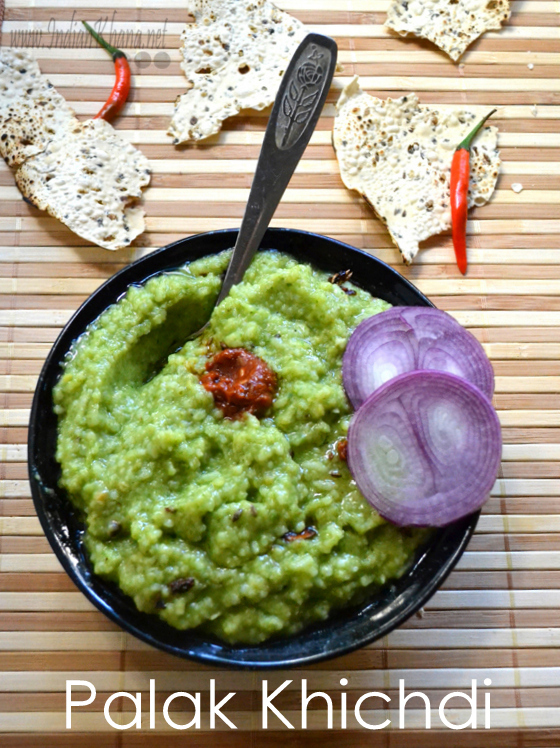 While khichdi getting cooked, cool spinach, chilli, garlic and grind into smooth paste. 6. Once pressure released from cooker mix rice well, add spinach puree and mix well to combine. Add water if required to get the consistency you like, adjust salt if required. 7. To prepare tempering/tadka heat oil in a small pan add hing, cumin seeds, garlic and saute until golden brown. 8. Add tadka to khichdi and mix well. 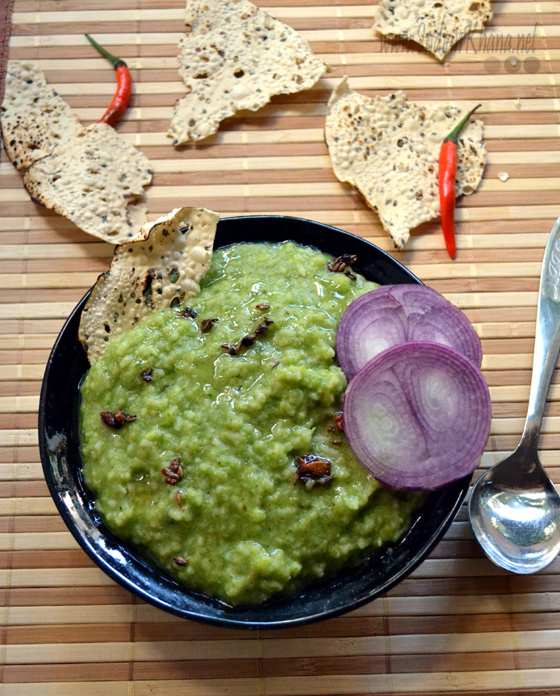 Serve palak khichi hot with dash of ghee for extra flavor, pickle, papad and salad. Instead of toor dal you can use split yellow masoor dal. For a quicker version, chop spinach and saute in cooker and then add rice, lentil pressure cook and finally add tempering. IndianKhana.net 2014. Powered by Blogger.